ABC News’ Sunday morning discussion program, featuring newsmaker interviews, panel discussions and debates on a wide range of global issues and commentary. Brought to you by George Stephanopoulos, Martha Raddatz, and the ABC News team. George Stephanopoulos is ABC News’ Chief Anchor. He also serves as anchor of “Good Morning America,” and anchor of “This Week with George Stephanopoulos.” As Chief Anchor, Stephanopoulos leads the network’s coverage on all major live events and breaking news around the world. 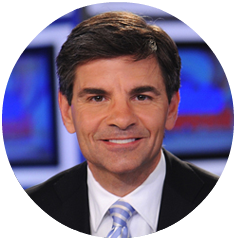 Stephanopoulos has conducted interviews with a wide range of subjects – from now President Trump, former President Barack Obama, Prime Minister Benjamin Netanyahu, Iranian President Mahmoud Ahmadinejad, Russian President Dmitry Medvedev, and Vladimir Putin to Mark Kelly, Jason Collins, George Clooney, Elmo, Lady Gaga, Jennifer Anniston, and Steve Martin.